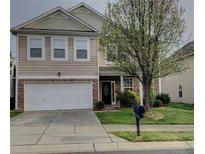 Below you can view all the homes for sale in the Crismark subdivision located in Indian Trail North Carolina. Listings in Crismark are updated daily from data we receive from the Charlotte multiple listing service. To learn more about any of these homes or to receive custom notifications when a new property is listed for sale in Crismark, give us a call at 704 604 8836. It is located conveniently to many amenities, including shopping, entertainment and has an inviting clubhouse and pool. MLS#3492407. Southern Homes of the Carolinas. Too many wonderful things in this home to mention. This is a must see! MLS#3491354. Coldwell Banker Residential Brokerage. 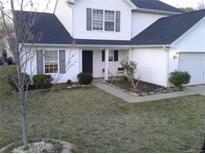 Large yard has trees by the patio for immediate privacy and a lovely park-like area beyond. MLS#3487902. Keller Williams Ballantyne Area. The landscaping of this home is beautiful and has a fully fenced in backyard. You will not be disappointed. MLS#3485691. Wilkinson ERA Real Estate. Home comes with a 30-day buyback guarantee. Terms and conditions apply. MLS#3473175. Opendoor Brokerage LLC.